The Syracuse University Libraries, English Language Institute (ELI) at Syracuse University and the New City Community Press are hosting a book launch event to celebrate the upcoming publication of “Becoming International: Musings on Studying Abroad in America.” The event will be held on Thursday, Sept. 20, from 10:30-11:30 a.m. in the Peter Graham Scholarly Commons (room 114) of Bird Library. “Becoming International: Musings on Studying Abroad in America” is a joint project of New City Community Press and the ELI. Featuring personal reflections of past and current Syracuse University international students, the book aims to record their insights and experiences traveling abroad for their education, learning a new language and system of education, and developing their academic research skills in the current turbulent context of the United States. At the book launch event, international students Joakim Olsen and Yuan (Caelyn) Cheng, and ELI ESL instructor Amy Walker will reflect upon their experiences and contributions to this new book. Then event will also feature remarks from New City Community Press Director Steve Parks and ELI Director David Lind. 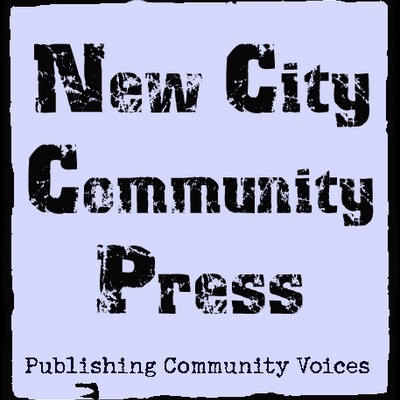 Founded by Syracuse University Associate Professor of Writing Steve Parks, New City Community Press seeks to provide opportunities for local communities to represent themselves by telling their stories in their own words. Today, New City has sponsored writing groups, after-school programs and author assistance programs designed to support community writers and community organizations in their efforts to express a true vision of the streets on which they live. Its publications have gained a national and international audience, finding readers across the globe. Light refreshments will be served. Copies of the book will also be made available for purchase and signing at the event. For more information, please contact Tarida Anantachai at tanantac@syr.edu.